We have stumbled upon this completely stunning time lapse video of Siargao's night sky. 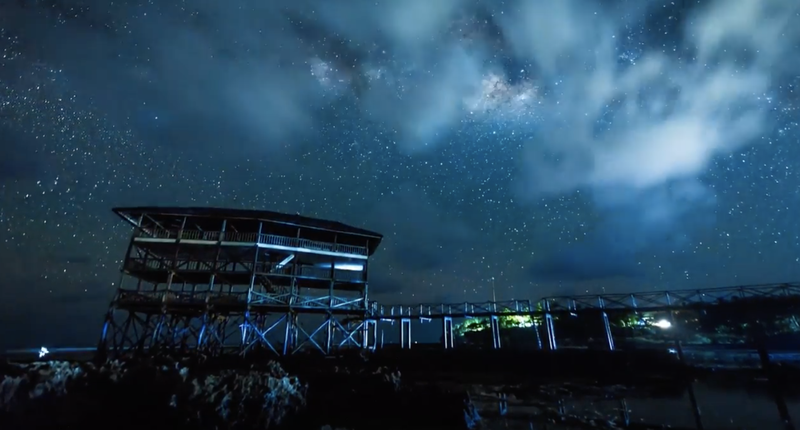 Uploaded by Travel Imagez on Youtube, this video features the milky way seen from the Philippines' surfing capital, Siargao Island. Title 'Siargao 'Night Light' - Milky Way vs lightning time lapse movie,' this will absolutely leave you in awe. This time lapse movie shows the beauty of lightning shot at Siargao. It starts with my favourite Milky Way shot at Cloud 9 and then shows a couple of lightning storms shot at Siargao and Guyam island. My pride is the shot where you see the Milky Way with the lightning storm. Capturing the Milky Way isn’t easy by itself, capturing lightning maybe even harder, but capturing both at the same time is a challenge like no other. First of all because you can only shoot the milky during a few weeks a year, having lightning at that time takes a lot of luck. But the main problem (rain is another) is the extreme difference in lighting, the milky way being really dark and the lightning being really light (long exposure at high iso vs short exposure at low iso). So one will likely be completely over- or underexposed. Here I had the lightning storm at the perfect distance, hanging in the same location for hours. One of those rare moments where everything is just right, me being at the right place and the right time. I could not have been happier! Travel Imagez wrote on Youtube.